Callinex Provides Exploration Update on IP Surveys - Callinex Mines Inc.
Vancouver, British Columbia – February 11, 2019 – Callinex Mines Inc. (the “Company” or “Callinex”) (TSXV: CNX) (OTC: CLLXF) is pleased to announce that it has a commenced a deep penetrating induced polarization (“IP”) survey at the Company’s 100% owned Pine Bay Project (the “Project”) located in the Flin Flon Mining District of Manitoba, Canada (See Figures 1 and 2). 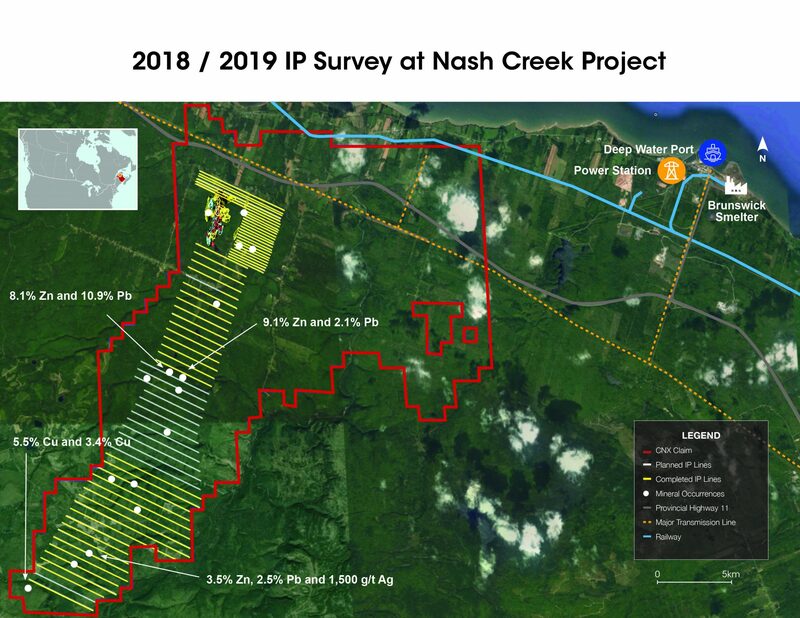 The IP survey will be completed by Abitibi Geophysics using their proprietary OreVision IP system, which can reveal targets at four times the depth of conventional IP. 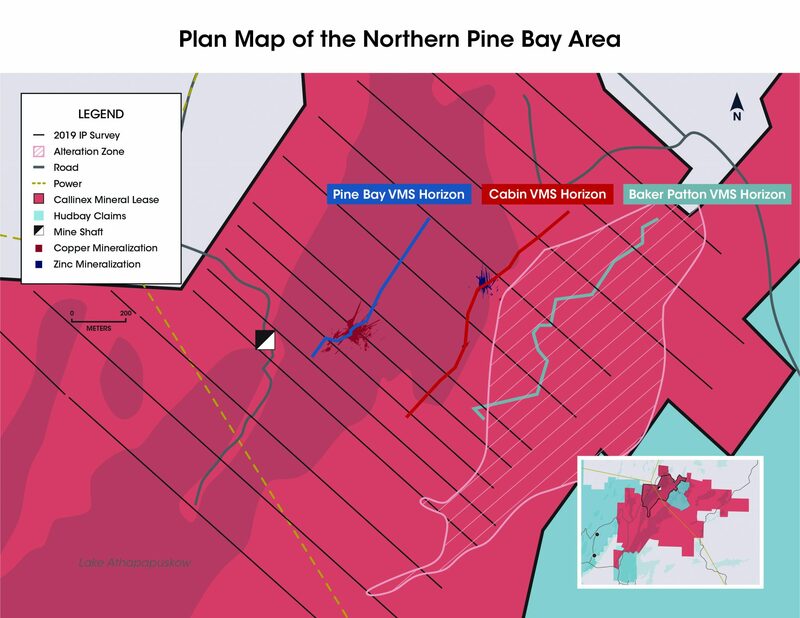 The objective of the survey is to detect pyrite-rich mineralization that may host high-grade copper and zinc up to depths of 580m along three favorable volcanogenic massive sulphide (“VMS”) horizons that host the Pine Bay, Cabin and Baker Patton deposits.